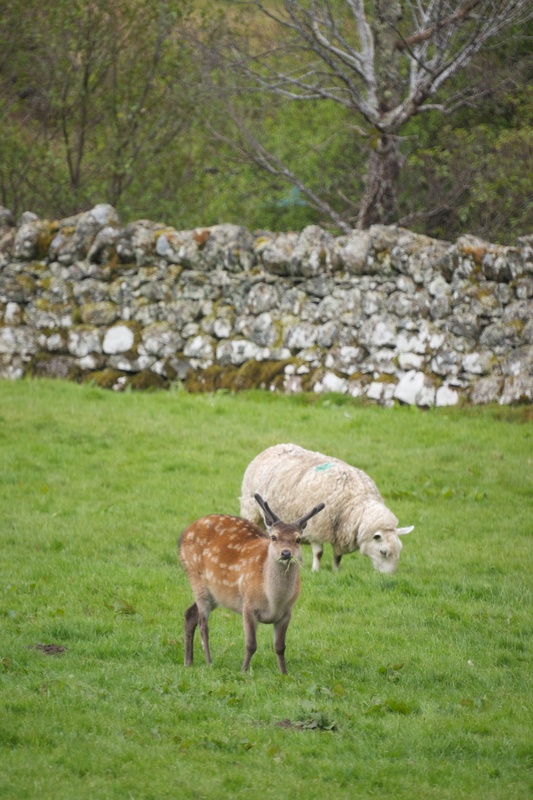 We had a young Sika stag in the field behind the house today, mixing with the sheep. We often see them from the house but not usually on their own in the middle of the day. He is in his full summer livery – red with white dots. In winter they are black. Deer are unusual in shedding and regrowing their antlers every year. This young stag’s antler will nto be very big but here they are still growing and are covered in ‘velvet’, a layer of soft material which covers the antlers until they are full grown. At that point deer will typically rub their antlers against trees, or anything else they can find, to remove the velvet.